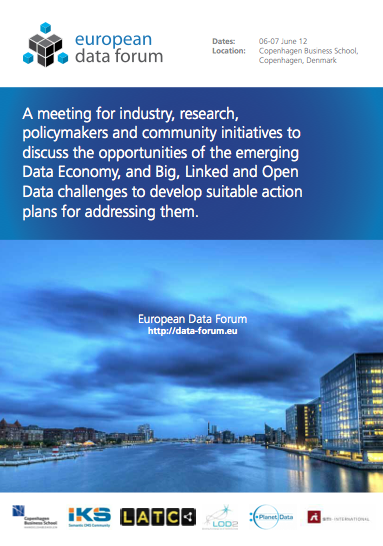 The European Data Forum 2012 will take place at the Copenhagen Business School (CBS) in Copenhagen (Denmark). The Conference will take place on the 2nd floor of the Solbjerg Plads Building of the Copenhagen Business School (CBS). On June 6th, 2012 at 20:00 we would like to invite you to dinner in Tivoli. The restaurant "Grøften" is located 20 meters behind the main entrance.